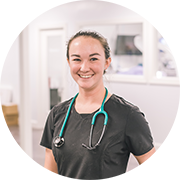 Cathy has over 15 years of veterinary technician experience. She took those valuable skills and wide knowledge base into the veterinary field of canine rehabilitation therapy. 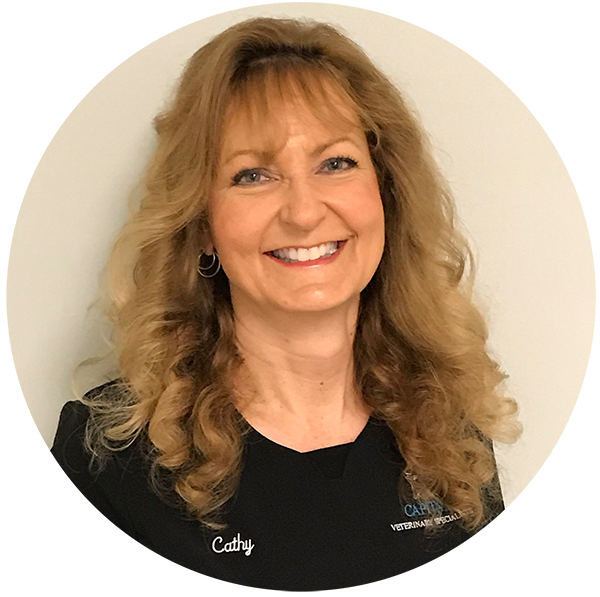 Cathy has a special interest in postoperative stifle stabilization rehabilitation, canine athlete and agility rehabilitation and conditioning, chronic arthritis and pain management as well as spinal injury and postoperative spinal rehabilitation. Completed the Canine Rehabilitation program at the University of Tennessee which includes course work in physical / electrotherapeutic modalities, therapeutic exercise prescription / aquatic therapy and designing and implementing a rehabilitation program. Certification in Class IV laser therapy. Has attended multiple continuing education programs including the Veterinary Laser Therapy Symposium, Equissage Therapeutic Massage For Dogs and T-Touch Massage.